Private classes are a great option for those individuals who do not have time to travel to a studio or desire a more personalized class. Great for beginners and/or more advanced students who are looking to enhance their skills! Our expert teacher will guide you in a yoga class tailored to your specific needs and knowledge level. It can be difficult to advance to a higher level in packed classes at studios. Whether you are new to yoga or a long-time student, private yoga classes will increase your strength and skills. Whether you are a couple, a couple of friends, or a family, yoga is a healthy activity to enhance the relationship and bring wellness into the relationship. 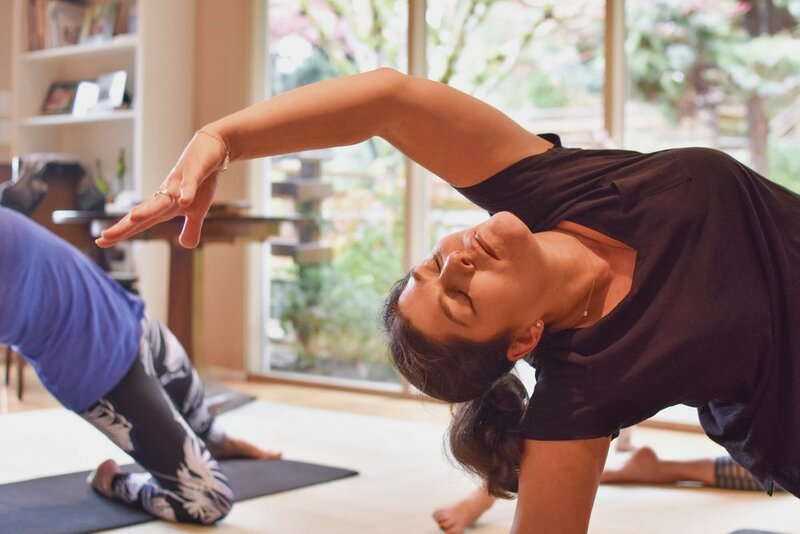 We enjoy bringing yoga into homes throughout Portland!